Does God have a specific plan for each of us, or is it more like general guidelines for all of us? How do my gifts and abilities, my personality and particular circumstances, impact my vocation? What is the role of the church in this process? What are the needs of the world that call us to respond? Awakening Vocation explores these questions and breathes new life into an ancient idea—rousing vocation from a centuries-long slumber. Inspired by the broad and inclusive vision of the Second Vatican Council, the book traces the history of Catholic reflection on vocation and offers a constructive proposal for the present. In plain language, Edward Hahnenberg argues that Catholic thinking on vocation has been frustrated by a deficient theology of grace and that the key to reclaiming the notion of God's call today lies in a vision of God's self-gift reaching across all of human history and into every human heart. Rethinking vocation in light of a revitalized theology of grace helps move beyond earlier dead ends, opening up new ways of imagining discipleship and discernment within our wonderfully diverse and yet deeply divided world. I highly recommend this book for liturgical academics and students. It challenges us to think liturgy in a different way. 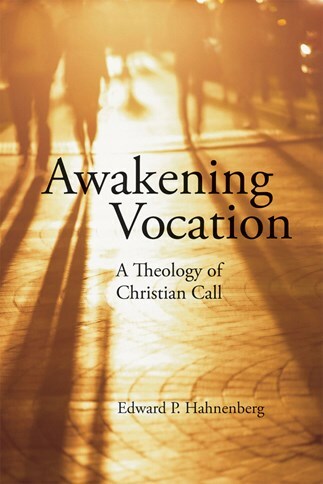 [Awakening Vocation] is in total a marvelous contribution to a vital endeavor: providing serious theological underpinnings for discussion of vocation today. In dialogue with Luther, Ignatius of Loyola, Barth, Rahner, Ellacuría, and many others, Hahnenberg draws the contours of a contemporary recontextualisation of Vatican II's universal call to holiness. Through vocational discipleship and discernment, today's Christians are challenged to experience a profound resonance between their deepest identity before God and the particular choices they make in their daily lives. This is an impressive plea for an open Christian identity and an open Church in a world of plurality and difference, suffering and conflict-a must for both systematic and practical theologians. This book will make for fruitful spiritual reading for the theologically informed reader. It will also provide helpful background for those whose calling is spiritual formation, direction, and leadership in a church ever called to deepen its commitments to, and understanding of, God's challenge in history. What Hahnenberg's account provides is a way to move beyond a simplistic idea of vocation in which we imagine, in Rowan Williams's apt description, that God has cast us in a role for which we have not auditioned and are not prepared. Rather, vocation turns out to be a discovery of who we are at our core, reflectively standing before God, where we realize that the response we expect of God in the world is the one that God in fact makes through us. Edward Hahnenberg has made a significant contribution to the understanding of vocational questions today with his in-depth, scholarly, and thorough work on vocation and Christian call. The text is rich, complex and well worth reading and pondering. The power and mystery of God working in the lives of individuals deserves such a profound effort. I've been searching for a theological reflection on `call' for a long time. Your book brings my search to an end. Awakening Vocation is not only a clear and creative work of theology, it is also a prophetic wake-up call. By placing compassion and solidarity at the heart of discernment, Hahnenberg reminds us all of an important truth: We discover our deepest identity by walking with those in deepest need. In challenging us to think about vocation in new ways, this is as good as it gets! Hahnenberg provides a thorough and readable account of how the notion of vocation has been understood by many of the major theologians since the Reformation. Those of us involved in vocation ministry today find ourselves grappling with the question, `How do I recognize an authentic vocation in an enquirer into religious life? ', and it is hugely helpful to have someone map out the historical terrain that is the hinterland of our work. To read this book is to be enriched theologically . but it is also to be drawn into a reflection on one's own vocation which brings with it its own enrichment. As the United States Conference of Catholic Bishops discussed and approved its guidebook for the emerging lay ministries titled `Coworkers in the Vineyard,' much was made of the need for a comprehensive study of the use of the term vocation in the life of the Church. Awakening Vocation by Edward Hahnenberg is exactly what was being called for. This extensive study will benefit anyone seeking to understand lay ecclesial ministry and its place in the Church.